Update: #8 indicates drops in sales tax revenue for East Baton Rouge Parish. The Advocate released information that sales tax revenues for 2009 decreased by 6%, less than $2.7 million from the previous year. Will Mayor-President Kip Holden adjust the city-parish budget now, or continue to be a spendthrift? 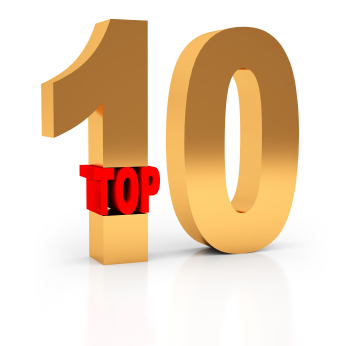 2009 is coming to a close, and it seems everyone is choosing their Top 10 Stories in East Baton Rouge Parish. Unfortunately, at least from my perspective, it doesn’t seem that those stories are truly representative of what happened in the Red Stick. So, I thought I would share my personal take on what impacted us as a community including the Good, the Bad and the Ugly. GOOD: The swearing-in of new Metro Council members that are actively engaged and more representative of our community. One example is Councilman Joel Boe’ who defied odds by leading the charge to include the entire parish in Mayor Holden’s proposed bond issue/tax increase. This resulted in verbal attacks against Boe’ from the Mayor, but won the respect of voters and citizens in the Red Stick. BAD: An apparent escalation in violent crime in the Red Stick is definitely the tip of the iceberg in our community. As 2009 approaches the same number of murders as 2010, it is painful at best to watch the daily news. By August 1, murders were already 48% higher than the previous year. UPDATE: The Advocate reported a record high for murders in East Baton Rouge Parish of 86 murders (75 in the city limits and 11 outside the city limits) . What happened to Mayor Holden’s no tolerance for crime in the Red Stick? UGLY: Mayor Kip Holden is accused of having an affair, and turns on his alleged accusers by demanding a federal investigation. After Holden claims he knows who is behind the expose’, he names numerous parties one at a time to no avail in a desperate attempt to put the focus on others. The only thing Holden accomplishes is showing his character and consistent tendency to attack others. GOOD: For the first time that I can remember, more citizens in East Baton Rouge Parish engaged in a proposed bond issue/tax increase. With standing room only, EBRP Metro Council meetings took on hundreds of voters both for and against the bond issue. Seeing our community become actively engaged in a critical issue that could have affected our parish over the next 30 years was refreshing and exciting! BAD: Learning that Mayor Kip Holden and his entourage withheld critical information from the Metro Council and voters regarding his proposed tax increase/bond issue. No doubt, it was the kiss of death to an untimely plan to build a “Holden Legacy” that our children would pay for over the next 30 years. It was a huge blunder to build a campaign with dishonest intentions. UGLY: The personal attack on Lee Domingue, candidate for Senate District 16’s beloved seat in the Red Stick. Domingue laid his past failures open for all to read about in his book Pearls of the King. His faith was attacked, and so was his church, Healing Place, and Pastor, Dino Rizzo. To add insult to injury, the Pennington’s power and money reached down to the front page of The Advocate in an attempt to discredit Domingue about a seven-year old business disagreement. It proved the point that Baton Rouge still has a small town mentality. GOOD: Thousands of voters paid a visit to the Louisiana State Capitol to voice their disdain for the national stimulus package. Made possible by the Red Stick Tea Party, citizens once again made the argument that wasteful government spending must end. BAD: Sales tax revenues continued to drop in the Red Stick resulting in a 4.64 decrease as of October, 2009. Instead of paying attention to the Mayor and BRAC’s elusive reports of how the economy has not touched the Red Stick, the facts say otherwise. Though Holden claims services will not be cut, it is inevitable that you cannot experience a reduction in income without a consideration in spending cuts. UGLY: In a small downtown office in the Red Stick, a Ponzi scheme was birthed which took hundreds of trusting people to the cleaners. Today, Stanford is a name that brings even the strongest of our citizens to their knees. An estimated $8 billion scheme confiscated life savings and retirement funds from a large Baton Rouge contingency. Offshore banks, international funds and prospectus reports that were highly inflated devastated far too many of our Red Stick citizens. Perhaps it is more proof that when it seems to good to be true, perhaps it is? GOOD: LSU baseball Coach Paul Mainieri brought back the gold by clinching the 2009 College World Series title. Mainieri also was honored as National Coach of the Year and Southeastern Coach of the Year for 2009. Tiger fans retained the prestigious position of #1 in attendance in the nation, and enjoyed a luxurious new Tiger Box Stadium that rivals the best in the country. Although life contains the good, the bad and the ugly, it is truly my hope that 2010 will bring more of the good and that we will learn from the bad and ugly of this year. Those things considered to be bad or ugly in the Red Stick surround the misuse of power in ethics, moral and criminal behavior. Anytime someone takes the position that they can exercise power over others with no regard for their life or well-being, suffering is imminent. The good things in our community were all made possible by the gathering together of citizens that care about our community and were willing to engage in what is important in the Red Stick. If we continue to invest in the greater good, surely we will have a fruitful year in 2010.